Aoife Stafford is a keen environmentalist. 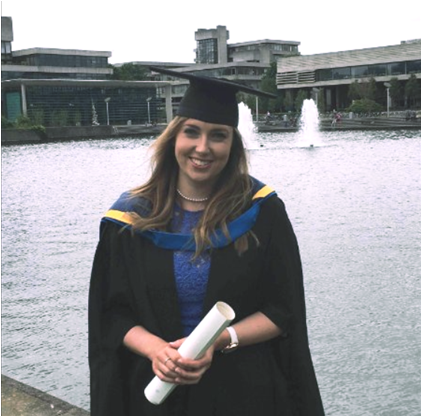 Aoife was awardedboth a BA in Geography and a Masters degree in Environmental Resource Management from UCD. She has held various environmental roles, most recently, Environmental Officer for the N25 Bypass. She has been chosen to be a Climate Ambassador for An Taisce. Water is integral to maintaining the quality of our natural and built environment. Protecting our water and natural environments through better water management is crucial in adapting to changing demography, resource use and climatic regimes. Poor water management poses major risks to agriculture, industry, and local communities. This presentation will deal with the challenges we face in relation to sustainable water management and what measures can be taken to protect our waters.